Happy Monday! 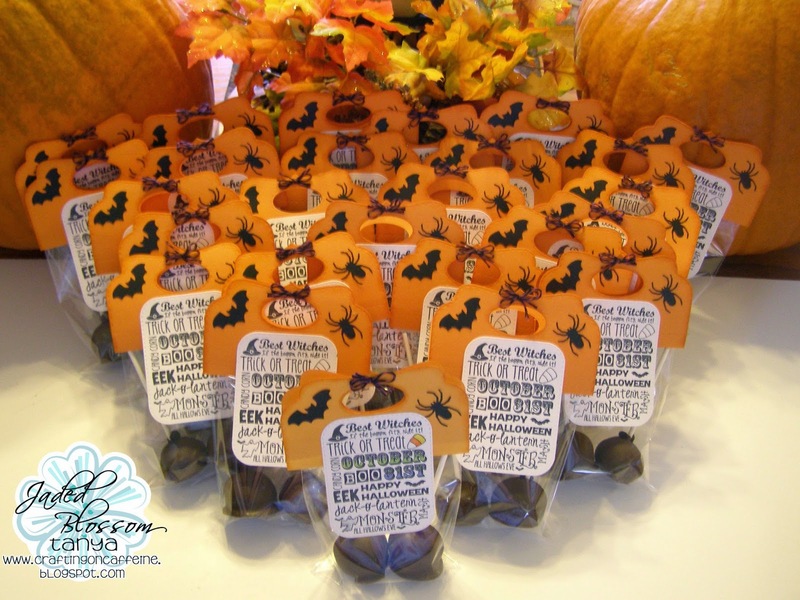 Tanya from Crafting on Caffeine here today and I am so excited to share with you these yummy treats! 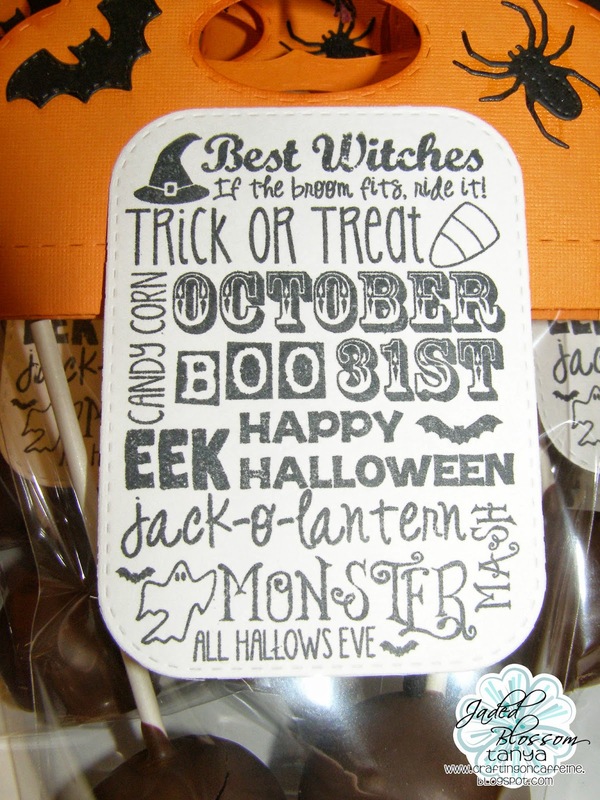 Candy Caddy Die, Halloween Dies, Layered Frame & Journal Die, and Halloween Mash-up and the A2 card sleeves. 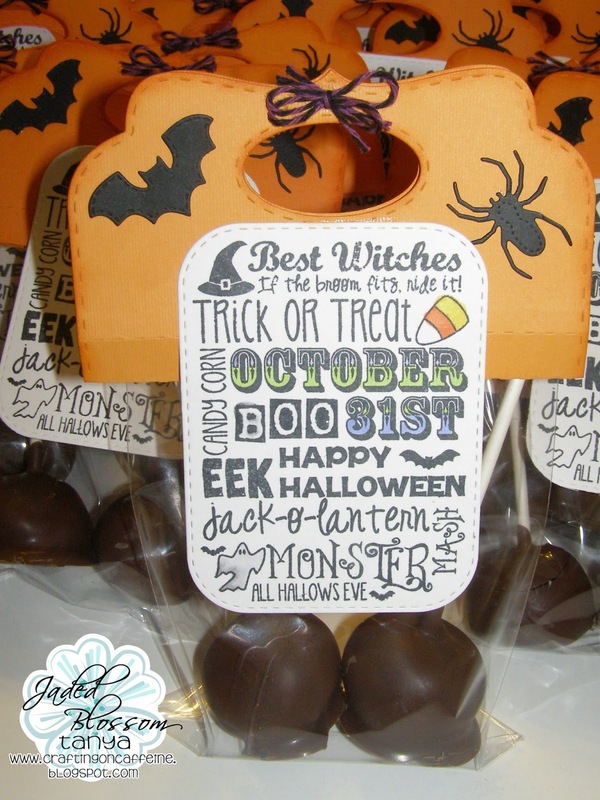 Of course you should know that each treat has 2 triple chocolate cake(bomb) pops in them. Since a lot of people are doing PL Albums now I wanted everyone to be able to add color to there own to go with their pictures. I did add color to 1 to show them what they can do. Did you know that the Journal Die is Perfect for PL? Awesome right?! I also added Trendy Twine's Grape Licorice. Thank you for stopping by and taking a look. 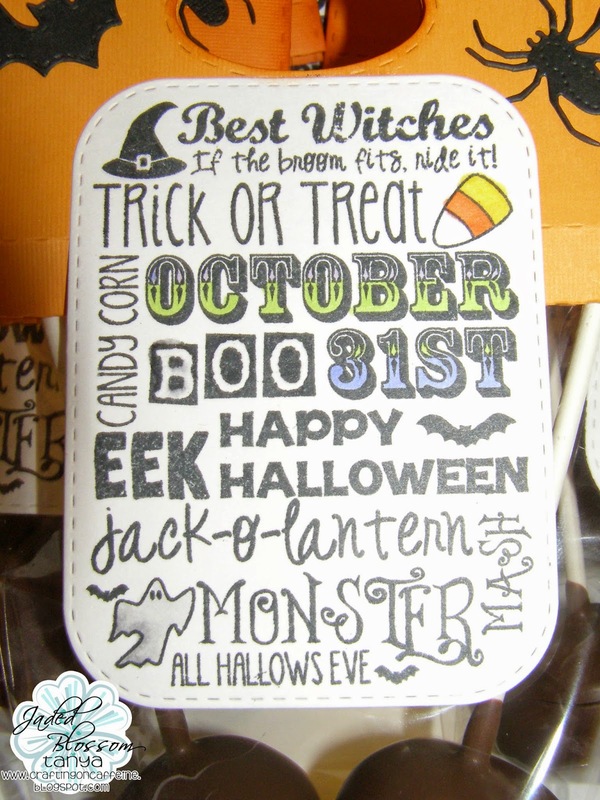 And don't forget the October Challenge Anything Halloween going on right now! Love the us of the candy caddy and those cake pops look delish!